Wayu "Light" Wattanakamin has been named Head Restaurant Chef of Sen Lin restaurant at the "Beyond All Inclusive, Beyond All Compare" Grand Velas Riviera Maya. In his new role, Chef Light will develop a new menu for the Asian-inspired restaurant, balancing modern and ancient cuisine that plays on new textures and original presentations with the traditional ingredients. The appointment is effective immediately. With 14 years of culinary-industry experience and a native Thai, Wattanakamin began his career after culinary school by opening his own restaurant. He later explored international cuisine at the Sahara Resorts in Kuwait, the Millennium Plaza Hotel in Dubai, the Diplomatic Club in Doha and many more throughout Europe and Malaysia. Most recently, Wattanakamin headed up the Signature Restaurant at Banyan Tree Mayakoba. His experience and talent create a combination of inspiration that stem from recipes passed down from his mom, keeping traditional food and flavors of the Thai Kitchen in every dish. 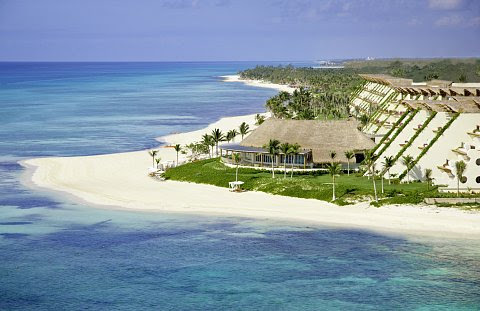 Sen Lin is one of five gourmet dinner restaurants at the Grand Velas resort. The restaurant offers authentic Asian decor indoors and outdoor views from the terrace of the Yucatan's lush jungle setting. Sen Lin serves from 6 p.m. to 11 p.m. daily, and reservations are required.